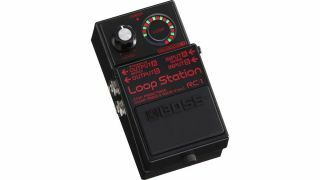 Every guitarist needs a looper pedal these days, and you can now snap up a killer deal on a Boss RC-1 Loop Station. Zzounds is offering this industry-standard looper for just $69 - a saving of $67 off the original list price. What’s more, the model on offer is the limited-edition black version, which is available in 2018 only. Boss’s most affordable Loop Station, the RC-1 features a straightforward interface with visual indicator, and offers up to 12 minutes of mono and stereo recording.